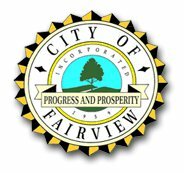 Fairview TN: Securely established in the northwest corridor of Williamson County, the City of Fairview, Tennessee was incorporated on July 28, 1959 under the Uniform City Manager-Commission Charter as set out in Tennessee Code Annotated. Motorists arrive in Fairview via Interstate 40, Hwy. 100 or Hwy. 96 in addition to SR-840 loop which is a mere 5 miles from City Center. SR-840 provides both personal & business travelers with direct interstate access to & from our picturesque plateau from nearby sister-cities within Williamson county such as Leiper’s Fork, Thompson’s Station, Spring Hill, Columbia, Franklin and Brentwood; and of course Metro Nashville / Davidson County & beyond. Simply stated, in Fairview you’re likely to find more value for your dollar. Looking for a new home? Home prices remain some of the lowest within our region, especially when compared to similar properties in neighboring communities within Williamson County. Do you desire a great education for your children? The Williamson County School District is one of our nation’s finest! Natural benefits also accompany our city’s location; Crisp clean air, starlit nights and colorful sunsets are just a few of the expectations residents & families continually enjoy. Our city’s vitally planned infrastructures continue to expand in preparation for what is certain to be an extensive period of growth. Franklin Environmental Services in proud to offer mold removal, radon testing & radon mitigation services in Fairview TN. We perform mold remediation services, radon testing and radon mitigation, crawlspace moisture barriers and crawlspace encapsulation. We work with homeowners in Fairview TN to ensure their homes are safe and secure from the dangers of mold and radon, and protected against intrusive moisture. Homeowners living in Fairview TN face unique challenges when it comes to preventing mold from getting in their home. In Tennessee, there are over 100 types of mold that can attack your home both inside and out. It’s important keep an eye out for damp spots around your house, both inside and out. The best thing to do at the first sign of moisture is to take steps to dry out that area, and then call an expert. Franklin Environmental Services is certified by the Professional Mold Inspection Institute to handle all mold related issues you may face. Franklin Environmental Services offers professional radon mitigation services to the Fairview area. Since Radon is impossible to detect, your best bet is to call a professional to ensure that you and your family are safe from this deadly gas. Franklin Environmental Services is certified by the National Radon Proficiency Program to perform radon testing and radon mitigation. Franklin Environmental Services is a trusted resource to Realtors looking for a partner. We help get homes mold and radon free and ready to show! We are fast, reliable and discrete. If you are a realtor in Fairview TN, we would love to be a part of your winning team!